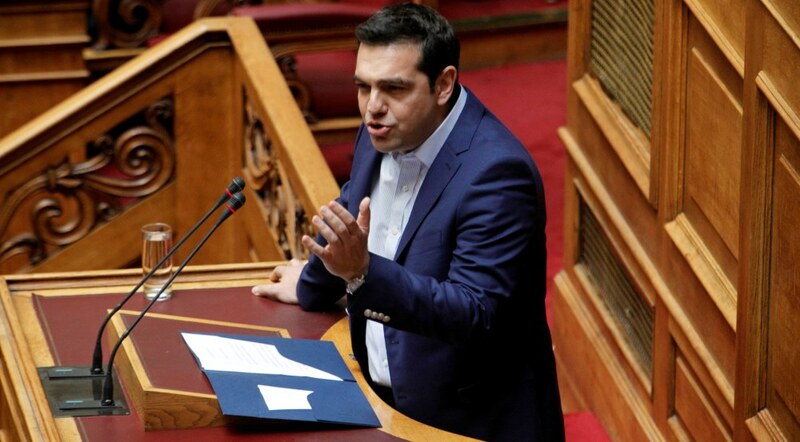 Why is Alexis Tsipras annoyed? What made the PM lose his composure on the day of such a triumph (rescinding legislated pension cuts)? More directly, why is Alexis Tsipras annoyed? Normally, yesterday’s would have been a parliamentary session like all others. The PM would appear triumphant because pensions will not be cut, even though he had voted to cut them in the first place. He would have avoided saying that the cuts have no fiscal cost because older pensioners will soon have died. The truth is that it is hard to repeat such a mistake, even if a person as a rule views things cynically. If yesterday’s session was different than others, it was not because of high-pitched rhetoric or because the PM’s coalition partner again trampled on political decorum. It is because the PM repeated another mistake. It is because he used the podium in parliament to attack the media that he loves to hate, including this newspaper, Ta Nea. The tenor of the attack is not important. 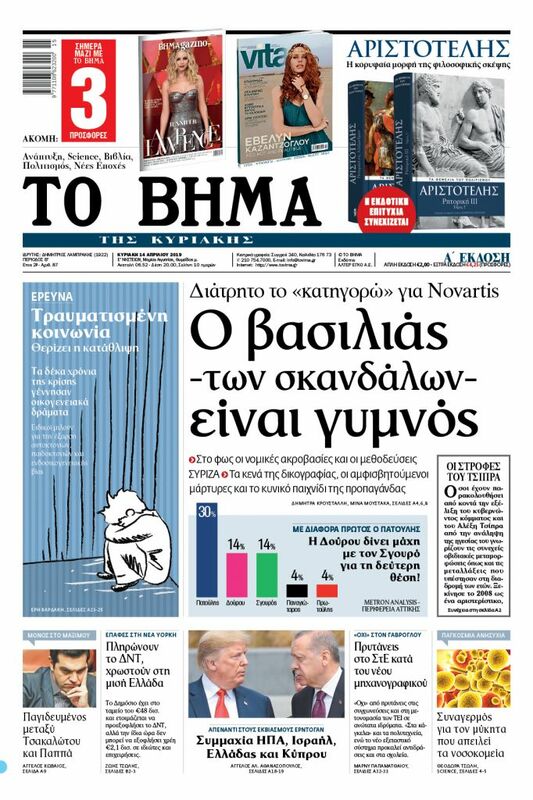 The SYRIZA-Independent Greeks government attacks the media at times in the manner of Trump and at others in the manner of Alternate Health Minister Pavlos Polakis and at others with a combination of the two in order to disseminate charges of fake news not with the accent of the US President, but with a Balkan variation. It is not necessarily the attack itself that is important, as this a government a prominent member of which was treating this newspaper as spoils when he believed that it will shut down. Still, the cause of an attack is always significant. What made the PM lose his composure on the day of such a triumph (rescinding legislated pension cuts)? More directly, why is Alexis Tsipras annoyed? There is no answer. Politics offers explanations even when psychological shades are hidden. In a regular democracy, instead of brandishing newspapers’ front pages, the PM would have answered about the person who used the podium of the PM’s office to take a humorous photo, just as an old pal would. He would have said something about this peculiar relationship that this person has with the PM’s office, about which this paper has revealed certain aspects. The podium of parliament would have been the ideal forum to offer answers, as they would have carried an institutional weight there. The PM would have avoided the bravado of the announcements of his press office. Hencem, we do not need the air of a young tough, but rather the greatest political clarity about how this pal is linked to the power system of the SYRIZA-Independent Greeks coalition government. They are at a loss for words. It is true that in politics often the best defence is a strong offense, but not always. The attack of the PM – who brandishes dailies’ front pages to avoid giving an accounting to citizens as all PMs must – bears witness to a predilection for cigars and deep annoyance. His reaction went beyond the usual view in SYRIZA and the Independent Greeks that all media that are not government –friendly are repugnant. What is his problem? It has been clear ever since he and his party came to power on a wave of populism. Even then, the media that noted that his later self-confessed self-deception was at the very least delusional were told that they were lying to the public in order to scare people, that they were writing “on orders from their bosses” and that they were “serving vested interests”. The PM said in an interview that it took a “clear mind” to understand that what the press was writing back then was not fake news, but rather reflected reality, his reality, which led the country to the end of the abyss. One would have expected that with an equally clear mind he would reassess the real fake news that he spewed at every opportunity to come to power. One would have expected also that he would provide an explanation regarding revelations concerning people in his circle. Perhaps that would be too much to ask. With such a loss of composure one cannot think clearly. One can only brandishfront-pages.